Last autumn, Mariner Partners concluded a sizeable transaction the way it does much of its business – quietly. 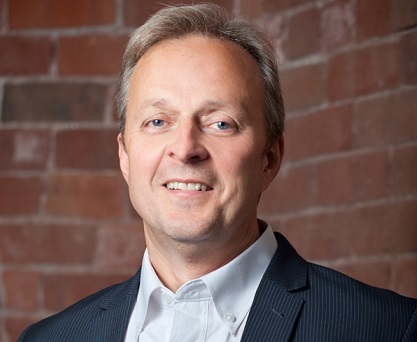 The Saint John technology conglomerate works with a host of startups, and one that captured a lot of its attention was Shift Energy, an Industrial Internet of Things concern that provides automated energy controls to large facilities. Mariner and several of its principals had great faith in Shift’s technology, so they sank both time and money into the company despite several setbacks. Then last fall, they decided to buy the company outright and make it a wholly owned subsidiary of Mariner Partners. The Shift acquisition transitioned the entire Mariner group. Emerging from the deal, Mariner has four main business divisions, one of which is Shift Energy. Shift has the potential to generate significant revenues for the group, said Howe, and this can be done partly by selling to existing Mariner customers. As a developer of IIoT technology, it’s active in a hot, hot space, with companies such as Cisco, IBM, and General Electric increasingly involved in the IIoT segment. And the investment in Shift represented a substantial amount of money. Here’s one interesting thing about this transformative deal: it was carried out with no fanfare. There was no announcement that this startup was now a unit of one of the most powerful tech companies in Atlantic Canada. There was merely a redesign of the Mariner website to show that Shift was now one of the principal operating units. Mariner should be far better known than it is in Atlantic Canada and across the country. It had revenues in each of the past two years of more than $25 million (growth was stunted in 2015 because it had clients in the Alberta oil patch). It offers world-leading video streaming technology, and its portfolio of startups represents untold potential. Its executives, some of them veterans of New Brunswick Tel, were the driving force behind Propel ICT, the regional accelerator. What’s more, the company’s chairman and co-founder is probably the best known member of the Atlantic Canadian startup grouping. Gerry Pond, the former head of New Brunswick Tel, has been celebrated across the country for his contributions to startups and technology. He is the face of Mariner, and is better known than the company itself. A close examination of Mariner’s four divisions shows why it should be considered the most influential company in the East Coast tech community. Mariner xVu (pronounced “X-View”) is an analytics system that allows online video content providers to identify and correct problems with Internet video delivery systems. It’s an attractive business because video is by far the fastest growing segment of the internet and that growth is nowhere near reaching a plateau. We’ll see that growing strongly for the next few years,” said Howe. This is a consultancy business that specializes in application modernization and IT professional services. It helps corporations and other organizations solve IT problems. It has strong client relationships in Atlantic Canada, and its customers extend across Canada and into the U.S.
Mariner Innovations had been growing strongly so it became one of the four pillars of the group. However, 2015 proved to be a challenging year because several of its clients were in the Alberta oil patch and were cutting back. Mariner itself started Shift in 2009 to develop data-based products addressing energy consumption of large facilities. In May 2013, the company changed direction, building an IIoT application that would react automatically to the data it collected. With the software installed, a large building or group of buildings can automatically reduce energy use in key areas based on data analytics. To achieve this goal, its EOS software uses a technique called Intelligent Live Recommissioning, which applies sophisticated algorithms to the data to determine the optimal settings instantly through the existing building control systems. In a typical large building, EOS collects and analyzes about 5 million data points per day, and uses that analysis to fine tune the energy performance of centralized heating and ventilation components such as boilers, chillers and air handlers – about 2,000 adjustments daily. Those small adjustments can reduce energy costs in a large office building, hospital or arena by 10 to 20 percent. Mariner is so excited about the Shift company that it bought out other investors and now showcases the IIoT unit as one of its four pillars. A year ago, the Shift technology was being used by Rogers Centre in Vancouver and an Ontario hospital. Now it’s being installed in office towers, hospitals and arenas across Canada and the company has signed its first U.S. customer. The Mariner group worked hard to tweak the product so it would find a market. Shift is now in talks with 50 potential customers, and is finding strong interest especially in sports facilities and convention centres. Howe expects Shift Energy to be a major contributor to Mariner’s top line by 2017. This is the unit that makes Mariner Partners unique in the region. No other tech company has an investment portfolio comprising dozens of tech startups. Headed by Pond and finance specialist Jeff White, East Valley is almost a club in which Mariner and people associated with the group invest in startups. Mariner itself has invested in about half a dozen of the 25 startups listed on the East Valley website. All but two of the investments are in Atlantic Canada (Ottawa’s gShift bought a Mariner company InNetwork in an all-stock deal; and Mariner invested in Victoria, B.C.-based Tutela Technologies for strategic reasons.) Some past investments have failed. A few have exited. A few – like Fredericton-based Smart Skin Technologies and Charlottetown- and Montreal-based Spotful – are building revenue rapidly. EyeRead, a Halifax-based educational-technology company, was accepted into Google for Entrepreneurs program in Kitchener, Ont. Eigen Innovations, a Fredericton-based Internet of Things company, placed third at the second annual Cisco Innovation Grand Challenge in Dubai. Automotive technology company Selectbidder of Moncton has signed auction partners in California, Florida, Maine and Pennsylvania. Halifax-based Swept (formerly Clean Simple) raised $575,000 in equity funding, becoming the first Atlantic Canadian portfolio company of the venture capital fund Highline. Spinzo, the Saint John-based developer of a crowdsourcing platform, signed on the Arizona Coyotes of the National Hockey League as its first professional sports client. One final point about Mariner Partners is its pedigree. The origins of the company began in New Brunswick Telecom. Before it merged with its Atlantic Canadian counterparts to form Aliant, it was known as one of the most innovative phone companies anywhere. Its executives – like Pond, Howe and operations whiz Bob Justason – are still mainstays of Mariner. Then during the dotcom boom of the 1990s, many of the NBTel alumni worked at Saint John-based iMagic TV. It blossomed into a publicly listed company by helping phone companies offer TV and Internet to customers. After Alcatel bought iMagic for about US$30 million in 2003, the people that built iMagic worked on other ventures such as Radian6 and Q1 Labs (both of which exited in 2011-12) while others wanted to work in online video. He adds that these companies – Q1 Labs, Mariner, Shift -- share several technological elements. The talent pool has grown, and Mariner recently moved into new larger office on the top floor of Brunswick Square in Saint John. Howe said the company’s revenue grows at about 15 percent per year, and he does not foresee any slowdown in that growth. A question about the future prospects is whether the company will raise capital to accelerate growth. Howe said a public listing is “not top of mind for us” but he wouldn’t rule it out either. If the company were to raise capital, a more likely vehicle would be a strategic investment from one of its blue-chip clients. One idea that Howe douses immediately is an exit.